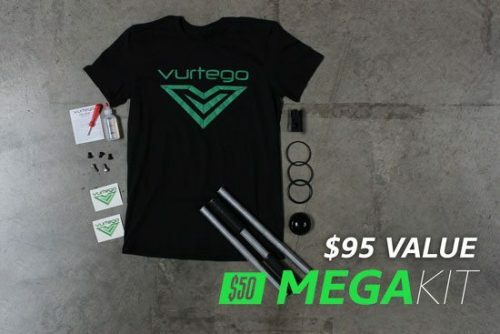 The Vurtego V4 Pro is the best extreme pogo stick we have to offer…and the best ever created. It takes everything the V4 has and kicks it up a notch. The design is based on the idea of a portable trampoline. The best riders in the world can jump 10+ feet in the air on it. 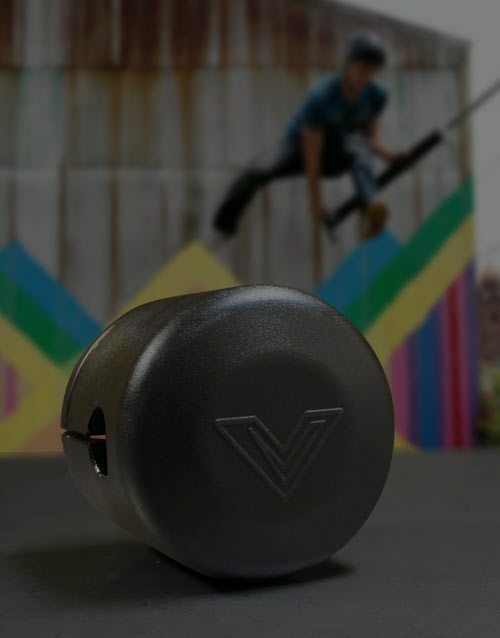 The more air you pump into the V4 Pogo Stick, the stiffer the spring will become. 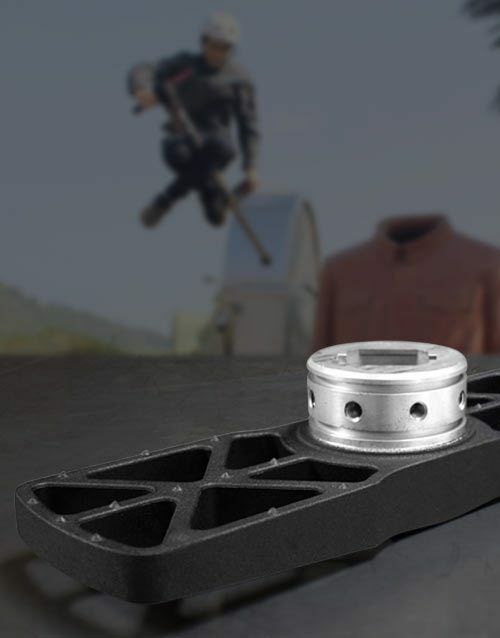 The stiffer spring allows you to jump higher than a traditional pogo stick—much higher. 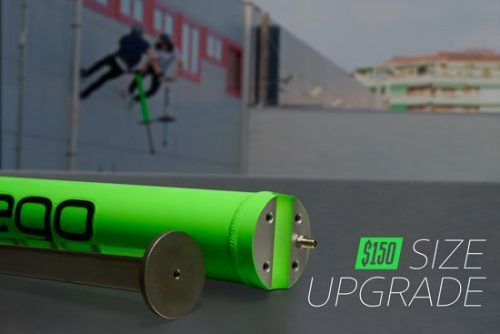 If you’re looking to do tricks, jump over stuff, or go as high as possible – the V4 Pro extreme pogo stick is your best bet. 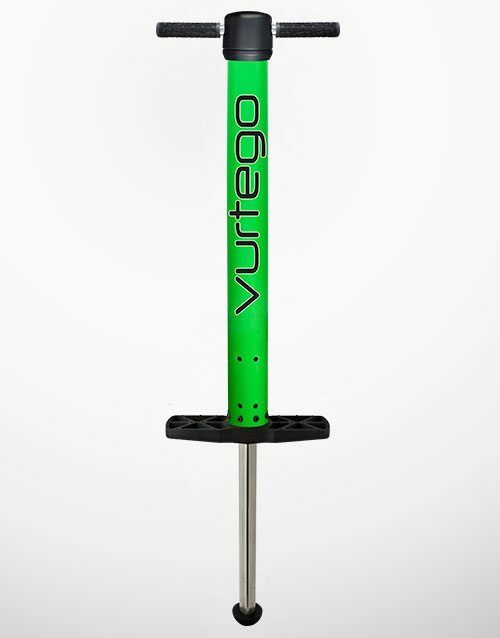 The Vurtego V4 Pro pogo stick is designed for riders who weigh 75 pounds or more. For lighter weight riders, please read more here before purchasing. If you still have questions, shoot us an email and we'll help out. International orders may be subject to import duties/taxes. 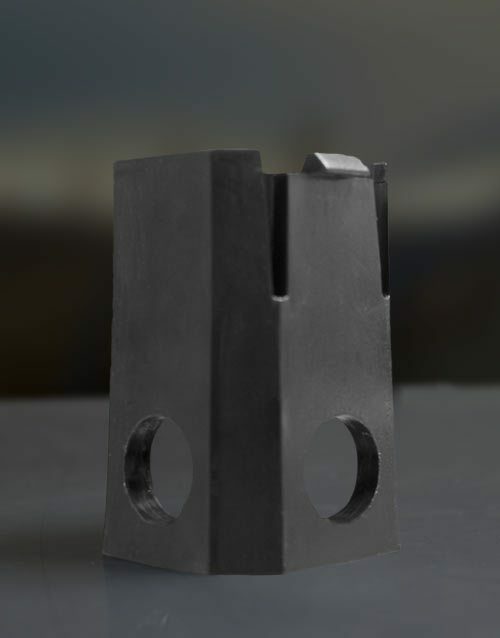 Check out our shipping page for more information. You might notice that the handlebars on your Vurtego break or bend pretty easily. Unfortunately, they were designed that way for safety reasons. 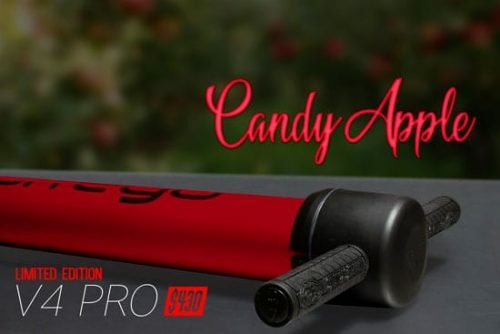 Rather than using a steel handlebar, we made the conscious decision to go with a softer aluminum composite, which has been tested to give way and break in the unlikely event that you happen to land on it. 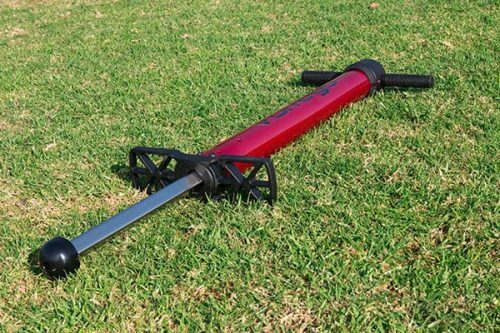 If you find that you are constantly breaking handlebars and would rather buy aluminum handlebars that don't bend or break, the outside diameter (OD) is a very common 7/8". 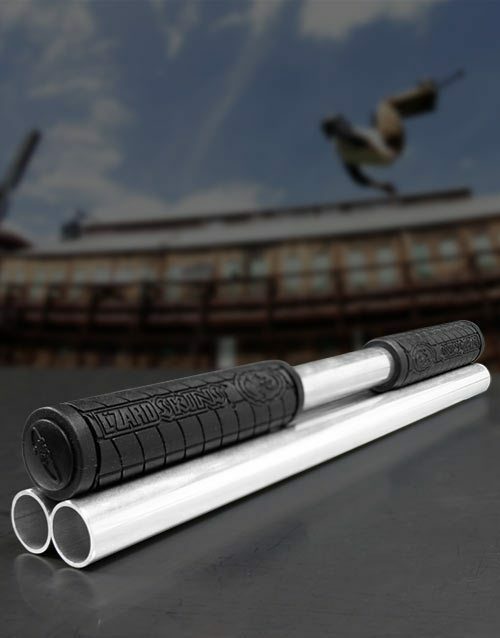 A quick trip to a local metal supply shop will get you new handlebars for even cheaper than we can sell and ship them to you for...and they won't break all the time...however, we don't recommend it. 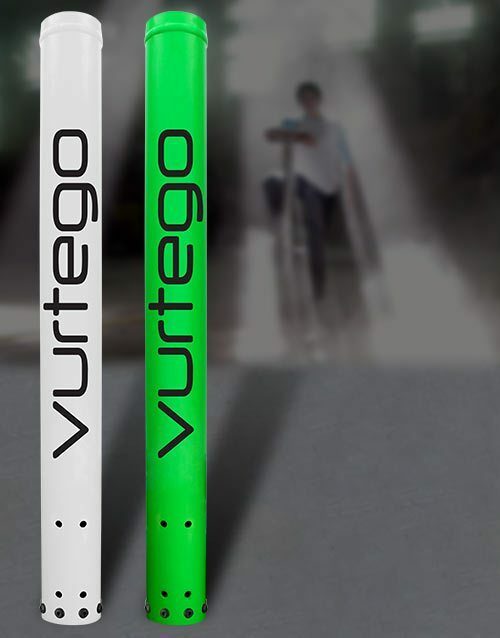 Our pro handlebar pack works with all versions of Vurtego pogo sticks. 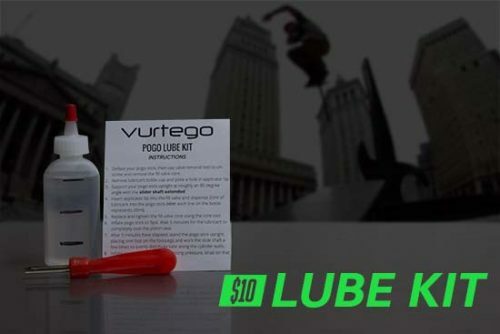 The SoftTop Foam Aluminum Edge Protector provides an extra layer of protection for the aluminum top cap of your Vurtego stick. It protects the aluminum from scratches and dings, and also protects your face from the hard aluminum. 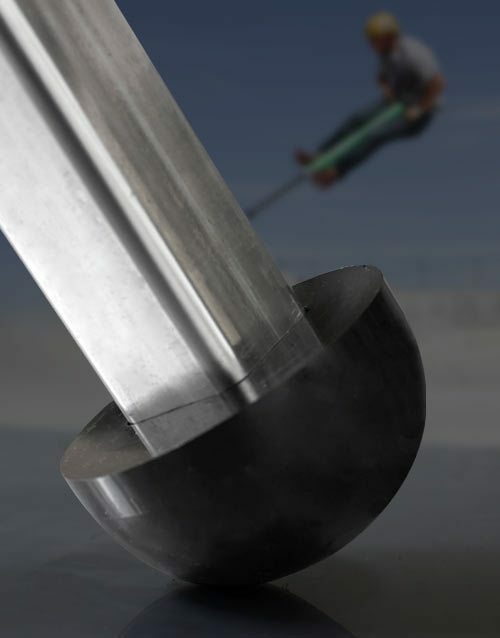 This pogo stick accessory snaps easily into place and can be held more firmly with an included o-ring. 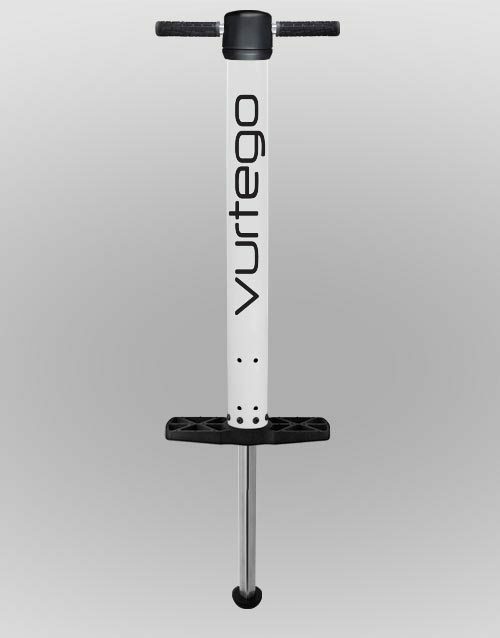 The SofTop works with all versions of Vurtego pogo sticks.